When choosing a holiday there are many things which spring to mind: apartment or hotel? Full-board or bed and breakfast? Budget or 5*? What about land or sea? Choosing between a cruise holiday and a land holiday can often be hard, but we are here to help you see that it can be a really easy decision to make! The destination is often the first thing we consider when looking to plan a holiday. Do you want sunny or snowy? Warm or cold? Here’s how a cruise and a land holiday both weigh up when picking your destination. With a cruise, you have the chance to visit multiple destinations in one trip, whether you’re looking to explore the Mediterranean or the islands of the Caribbean you can escape to these regions and enjoy trips to many different places, broadening your journey and experiences. Many cruises don’t just stick to one country either, with some crossing oceans into several continents for true exploratory indulgence. However, with a land holiday, you are often tied to one destination. This is great if your keen to just sit on a beach for two weeks, but not so much if you want to travel around a little. 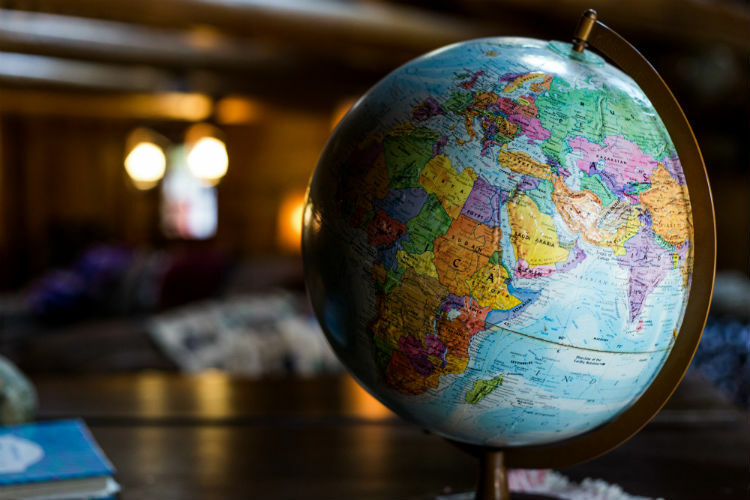 If you want to see multiple destinations on one land holiday, you would have to factor in costs for multiple hotels, transfers and even flights depending on where you want to explore. Land holidays are great for staying in one place, but if you want to see more of the world, a cruise ship is one of the most comfortable ways to do this. 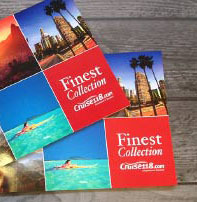 With a cruise, you can travel to a broad range of destinations almost anywhere in the world! Now to decide where to stay! With both land and cruise holidays, there is a range of rooms to suit all group sizes and budgets. One of the main choices for your cruise is deciding which stateroom to book, from Interior rooms for two to Family Suites for five. 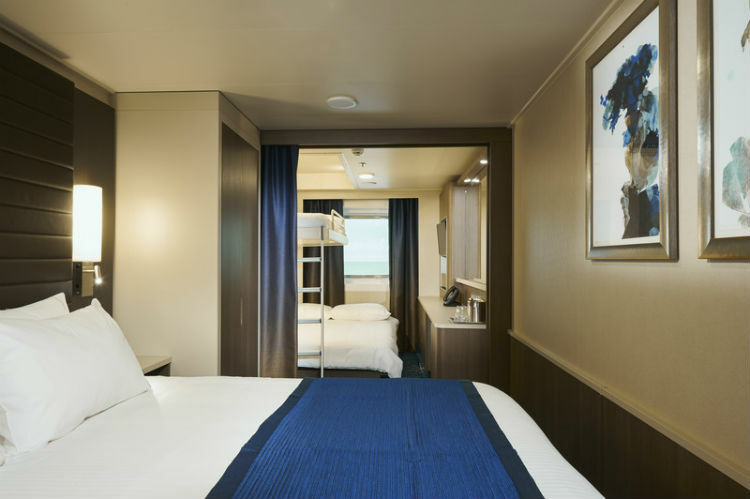 Ships have a wide-ranging selection of staterooms to suit all groups, ages and budgets. What’s more important is that whichever stateroom you select, it’s included in your cruise fare from the get-go. Some rooms such as Suites or above also include additional benefits just for picking that room! Depending on when you book your cruise also determines how much flexibility you have in its location. Whether you want to be in the middle of the ship or near the dining room, some sailings allow you to choose your stateroom choice right down to your room number. With a cruise, your accommodation also travels with you, meaning you get the beauty of exploring these destinations while returning back home to your room each night for a good night’s sleep. No need to keep packing up and settling down each night. Booking your own accommodation opens up the opportunity to stay wherever you please in your destination. From a hostel for budget travellers to a villa for those looking for a luxury getaway. However, when travelling with a young family, chances are you’re more keen on a humble hotel room at an affordable rate which is close to the main attractions, landmarks and fun? Now, tailor that with your dates, which are also likely to be during the summer holidays when travelling with children, and you’re going to start seeing inflated prices for that ‘humble hotel’ that could make your eyes water! Not to mention, there is little flexibility over your room location so if you’re somewhere noisy or busy, there’s not much you can do. While a land holiday means you can stay in the heart of your chosen destination, this often comes at a costly price for families during the school holidays. You can’t pre-select your hotel the same way you can on a cruise. You can request certain room types or locations for a land holiday, but these aren’t guaranteed in the same way a cruise ship’s accommodation is. Cruises and land holiday obviously are already very different holiday types of travel, so what about how to get to them and your travel in between? Cruises set sail from a range of destinations across the world, meaning you will most likely have to fly out to meet your ship at your embarkation port and depart from there. Many of these sailings include flights in your cruise fare, so all you need to do is select your departure airport of choice. Don’t like flying? You can sail from the UK! There is also a lot of choice on sailings from ports such as Southampton, Newcastle or Tilbury in London, as well as many more. These itineraries commonly head to regions such as Northern Europe, the Mediterranean and the Caribbean, but there are also many world cruises which start their journeys from a UK port. So that’s flights sorted, now how do you get to the ship? Well, most cruise lines include transfers from the airport to your embarkation port, as well as port taxes. All you need to do is meet them at the allocated place in your airport and they will take you to your ship via shuttle bus or coach, maybe even private transfer in some cases! The beauty of this is that as soon as you get to your ship and make your way on-board, the holiday starts! Now you’ve picked your destination, arranging flights there is simple. However, it’s once you get to the other side it can be quite complicated. Do you need a hire car? How will you get to your hotel? Which is the best form of public transport to take you, your family and your luggage, to your hotel? If you’re visiting a new destination, this can sometimes be tricky to master and also incurs additional costs at each stage. From booking your return flights to adding on the hire car, this part of holiday planning can quite often be the priciest. One of the main benefits with a cruise is that it’s all included and that goes to show with travel. From leaving your home to getting on-board, most of the travel costs are included such as your flights, transfers and port taxes. With a land holiday, you will need to research and plan every step of these yourself. A cruise ship plays host to a whole range of flavours, from British favourites to internationally-inspired dishes from Asia, America, Mexico and Europe. Cruise lines split their dining venues between complimentary dining and speciality. Complimentary dining is exactly that – complimentary! So you can dine to your heart’s content in all of these restaurants, cafes and lounges at no additional cost. 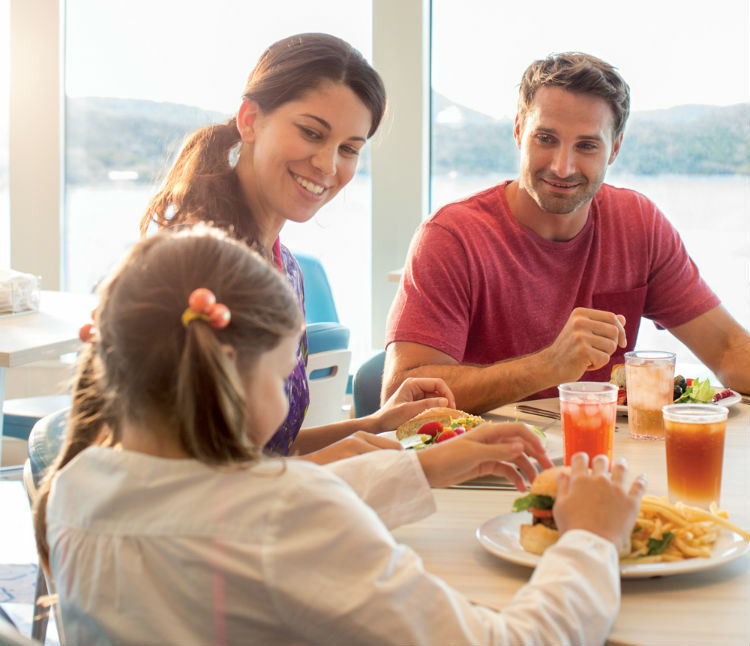 There’s a whole range of breakfast, lunch and dinner options which are all included in your cruise fare – from pancakes and cereals at the buffet to a delicious three-course dinner in the Main Dining Room. As for speciality dining, these come with additional costs which are charged either la carte or as a set fee upon reservation. However, they are well worth it for a treat or special occasion as these venues often match the quality of a 5* land-based restaurant, at a fraction of the cost! Many cruise lines also include familiar favourites on-board such as Ben & Jerry’s ice cream parlours and Starbucks, as well as celebrity chef restaurants and menus including Jamie’s Italian (Jamie Oliver) and Guy’s Bar-B-Que (Guy Fieri). Dining also has the same hold over a land holiday – it can make or break it! And, if you’re staying in a hotel or self-catered in a city the price of food means a lot! Often hotels strictly offer buffet meals for guests during breakfast and lunch, with dinner’s only option being an a la carte venue which can rack up costs if you don’t fancy heading out. When you do explore the city, you will often find restaurants which increase their prices according to popular places commonly visited by tourists. Not to mention that these costs all need to be considered in your overall budget, so you might need to limit your options and rule out any fine dining or indulgent ice creams if you’re being strict with your spending. A land holiday means you are free to dine wherever you please and explore the local cuisine of your destination, but you need to budget for it. With a cruise, you can dine every night in the wide selection of complimentary restaurants and enjoy a meal of fantastic quality every time. For both a cruise and a land holiday, there are plenty of drinks to choose from. Local tipples during your land holiday or a wide selection of on-board bars and lounges during your cruise – this can be tricky to decide which suits your style. Selected non-alcoholic beverages are included as standard on your cruise, so you can help yourself to water, fruit juices and hot drinks in the buffet areas. Any other drinks you simply pay for at the end of your holiday or cover in the cost of a drinks package – whichever works best for you. An all-inclusive cruise often includes your drinks, so you can enjoy many of the selected wines, spirits and beers during your time on-board – whether that’s beside the pool or in the dining room. If you fancy something special like a quirky cocktail or a premium beer, you usually just pay the difference rather than the whole price as well. As for a land-based holiday, your drinks tell a different story. Not many hotels include drinks in their price and usually offer these at hugely inflated costs. 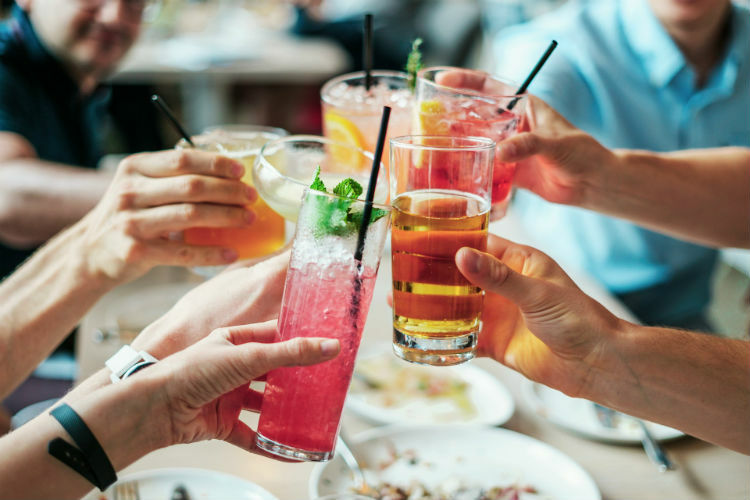 Even if you head to the local bar, you’re faced with budgeting for each evening or daytime tipple – which may hinder your holiday experience. Where hotels include some drinks in their price, these are typically only selected beverages with no option to upgrade unless you pay full price. However, there is room for more control over your spending and a more realistic budget – especially if you’re not a big drinker. 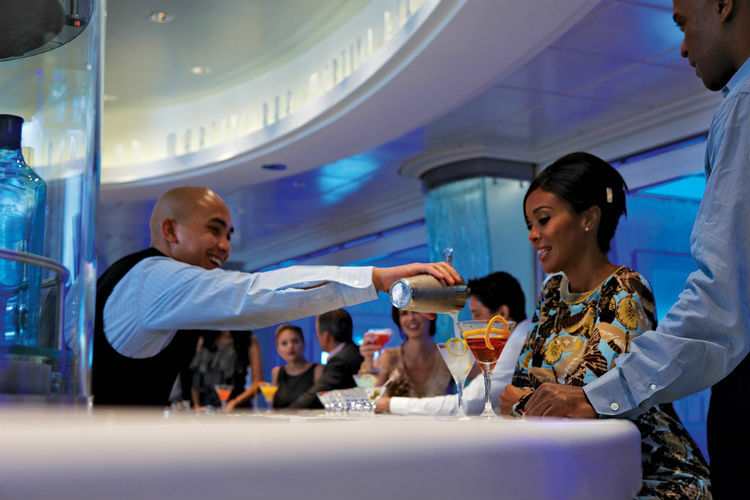 If you love a drink on your holiday, a cruise offers excellent value for money. With all-inclusive or one of the many drinks packages, most drinks are included and, for those that aren’t, small charges are added to your on-board account. For a land holiday, premium drinks are usually charged a full price and there is no option to upgrade, unlike with a cruise. When you’re on holiday aside from the food and drinks, you will also want to plan in some fun activities for holiday memories. Both cruise and land holidays cater to children, families and adults – so which is better for activities? Spas on-board also offer professional treatments, not too dissimilar to those you would find at a 5* hotel or resort. Though these can sometimes incur additional costs, they are worth a nice treat for some soothing you-time! If you’re keen to relax, but don’t want to spend much money, some cruise lines now have adult-only areas where you can sit back and relax while your kids work their way through all of the above. These often have their own bars and pools, as well as plenty of loungers to spend the day on. Quite often, no day is the same on a cruise ship and they are a destination in themselves to explore and enjoy during your time on-board. If you visit a port you’ve explored before or don’t fancy, you can have just as much fun staying on-board and enjoying the facilities on your ship. Meanwhile, activities in a hotel or resort can be quite different. There are still daytime activities such as pool games and sports events including volleyball or mini-golf. You can also access the fitness centre if your hotel has one, and there are often daytime events such as quizzes and daily games to enjoy. While many land holidays include waterparks, these are often not the same calibre of what you can find on a cruise ship. As for adult-only areas, you’re probably not going to find a specific area other than a pool, which will get busy quickly at your hotel with parents looking for some peace and quiet while their kids play. For more immersive experiences such as zipwires, cooking classes, rock-climbing and escape rooms, you will likely have to pay extra and take a trip outside of your hotel or city to experience. Spas either might not be included in your hotel or incur an additional cost just for using the steam room or sauna. If you love a bit of relaxation therapy while you’re on holiday, this might even mean visiting one nearby and spending more of your holiday budget. There are a whole number of things which you can enjoy on a cruise ship, many of which are included in your fare. During the day, you can enjoy family-friendly fun no matter what you decide to do – from games and quizzes to waterparks and outdoor movie screens to get cosy in front of. What about your evenings? Entertainment is another area we all look at when booking our holidays, to ensure there’s something for everyone to enjoy during the night times on your getaway. With a cruise, your entertainment is included and that includes some fantastic evening activities. Broadway-style shows, comedy nights, magic acts and a whole variety of live music and entertainment can all be enjoyed, often at no additional cost during your sailing. 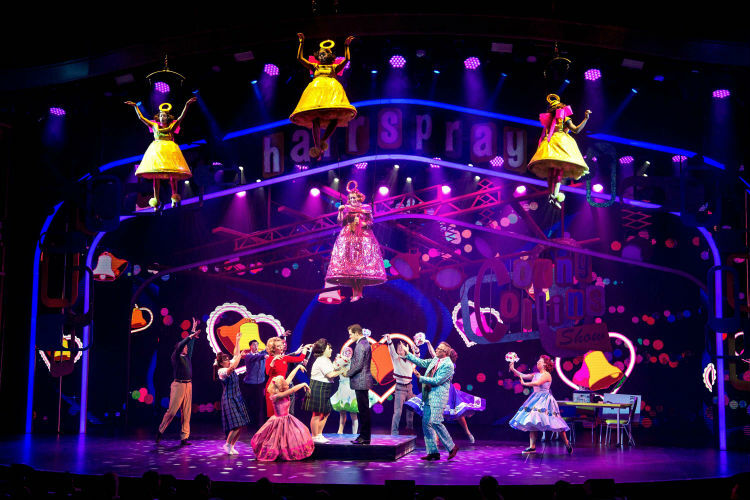 Royal Caribbean has included shows such as Grease, Hairspray, We Will Rock You and Cats in its theatres, all of which include the hit songs and choreography that will make you feel like you’re on the West End. MSC Cruises have an exclusive partnership with Cirque du Soleil, offering unforgettable acrobatics and circus-style shows that are like nothing you’ve ever seen before! As for P&O Cruises, you can experience intimate shows and food at the Limelight Club, where exclusive performers put on a show just for diners. Meanwhile, there is almost always a casino on a cruise ship for late-night fun, as well as bars, lounges and nightclubs to drink and dance the night away. If you fancy a giggle, see when the resident comedy act is on stage and enjoy a laugh-a-minute before bedtime. On a land holiday, evening entertainment is typically a cabaret act or a show aimed more for children with fun and games involved. If you wanted to catch a theatre-style show, you would need to scout out nearby venues and purchase tickets ahead of your stay, that’s if they aren’t sold out and it’s something you want to actually see! As for the top shows such as Grease, Cats or Cirque du Soleil – these are usually between £40 and £60 per ticket in typical land theatres, so could be a costly addition to your holiday! To replicate the level of all-star casts, workmanship and quality in cruise ship shows on land, you would need to spend a pretty penny. However, most shows are included in your fare and just need you to book ahead to secure a seat (they can get full quick!) During a seven-night sailing, there might be five or six different shows on-board, so you can have an evening out each night at little to no additional cost! When looking for a holiday for all the family, it helps to ensure that there is something to do for everyone – especially the kids. A family holiday is all about making sure there is something for the children to do and it certainly pays to keep your little ones happy and active during their holiday. 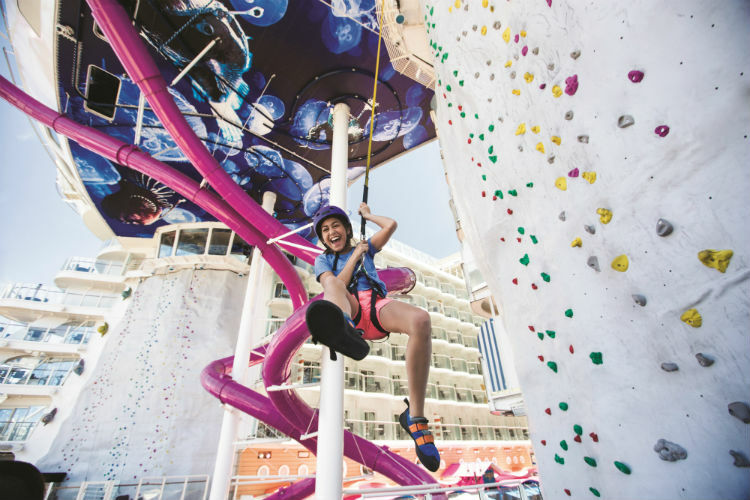 On a ship, there are endless activities for your kids to enjoy. Pools, including splash pools for those which are still in swimming nappies, as well as waterparks are fantastic for kids with plenty of areas to play and make friends while you relax on the loungers nearby. Then there are the kids’ clubs. The service and dedication of kids’ clubs are exceptional on a cruise and these are usually included in your fare. These are split into age groups and open from the early hours until teatime or some hours after depending on your cruise line. Facilities vary from ship to ship, however most rival those you would find anywhere on land. 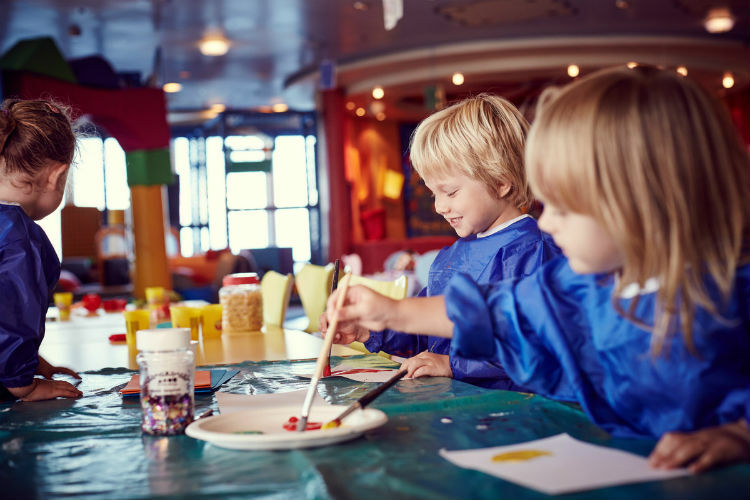 Fun classes and educational programming, use of all kids’ club facilities such as games consoles and computers, as wells as teen zones and tots play areas, means you might not even see your children during your cruise as they will want to spend all of their time here! What’s also great is that you have the opportunity to check your kids into the cruise lines’ babysitting services if they are available. Some cruise lines include this service in the cruise fare depending on hours, but the additional charges can be worth it for an evening to yourself! While there are usually kids’ clubs and daily events for children on a land holiday, they don’t cater to specific age groups or facilities in the same way a cruise ship does. The programming is not usually as organised and you’re limited to the resort area as well as certain opening times, meaning it’s not quite as flexible as a cruise ship kids’ club. If you do have a kids’ club at your resort, it’s high chances you need to collect them at the end of the afternoon so you might struggle if you want some time with your partner. Kid’s love having loads to do and the level of activities available on a cruise ship is unmatched. Kids programmes often include specially-selected topics and activities depending on your child’s age group, as well as social events, the chance to meet new friends and enjoy exploring the world in a safe environment. Service is something holidaymakers remember forever, whether it’s good or bad! Service really matters during a holiday and it can make or break your holiday in a matter of moments. The service on a cruise ship is like nothing else. Waiting staff will top up your drinks as you dine at a moment’s notice and, on smaller ships, bar staff even remember your name and favourite tipple within a matter of hours – making your holiday all that more personable. Staff are available shipwide to speak to wherever you go, eager to help no matter how big or small your problem. From the moment you step on-board, you are welcomed to your ship and made to feel at home. There are usually Sail Away parties where you meet fellow passengers, as well as staff trained to ensure you’re happy during your entire stay. There are different areas where staff service shines, such as the bar staff making unique cocktails or nursery staff who are equipped to look after children of all ages during your sailing. Staff are trained in areas such as childcare, spa treatments and hairdressing to provide the level of quality and service you would expect at home. With each one making sure you’re happy and comfortable during your stay on-board. While service can still be excellent during your land holiday, you would be looking at 5* hotels to match the level of attention you receive on a cruise ship. From spas to kids’ clubs, the quality of training might not be up to the same standard, or you might not get the same, familiar welcome as you would expect on a cruise ship. Service levels vary, but you might not find you can order your favourite cocktail or safely leave your children for babysitting services the same way you can on a cruise ship. This could simply be that the services are available or that the level of service required is unmatched in a hotel or resort, when compared to a cruise holiday. Hotels are also often not as heavily staffed as a cruise ship, so you may be wandering around a little until you find someone to help with an issue. If you’re one to notice service and enjoy building relationships with staff, a cruise is definitely for you. Staff work hard to make sure you’re comfortable and will always be happy to help during your stay, something which cruises are favoured on. And there you have it. 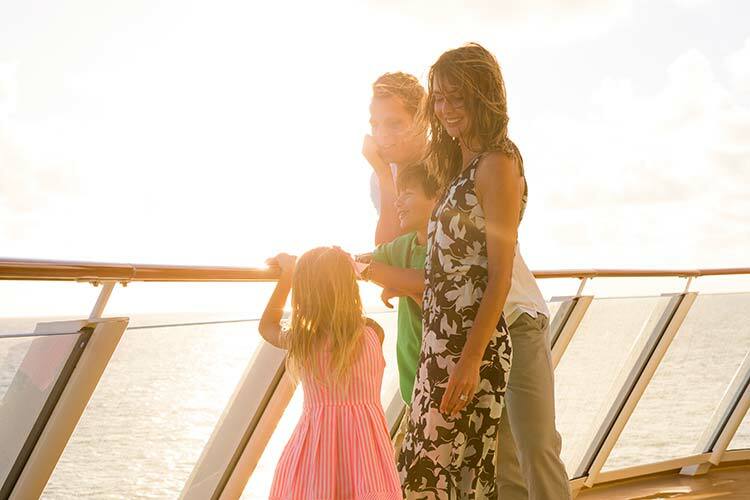 All the major aspects of a family holiday compared between a cruise or a land getaway. This isn’t factoring in costs for any extras such as excursions or drinks, but you can already see how much value you get with a cruise when compared to a land holiday. You can experience more destinations, more entertainment, more flexibility and more fun – often for the same price as a land-based holiday. A cruise immerses you in each destination, with staff that make sure you’re happy on-board and boast a level of service you will struggle to find in any resort or hotel. Not to mention, with an all-inclusive cruise everything is included. 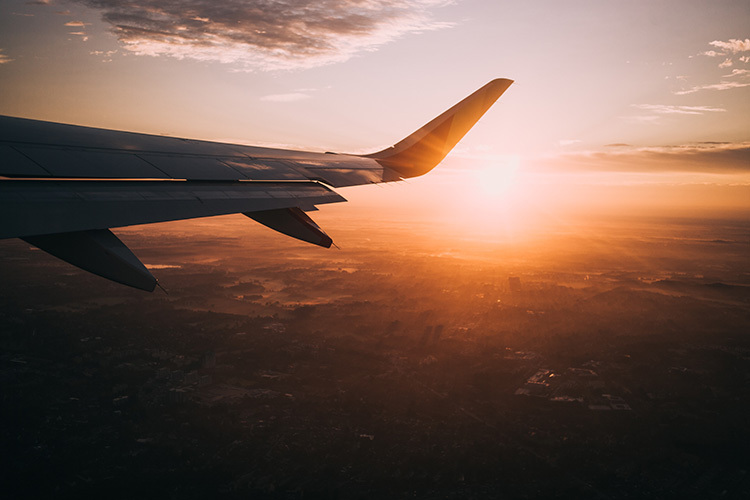 So you needn’t worry about flight price fluctuations or struggling to get the right seats on a plane – it’s all covered and protected should anything go wrong. Do you think that cruising is better value for money when compared to a land holiday? What deals do you tend to look out for when booking a cruise? Let us know in the comments below! Do shipboard spas live up to their billing?